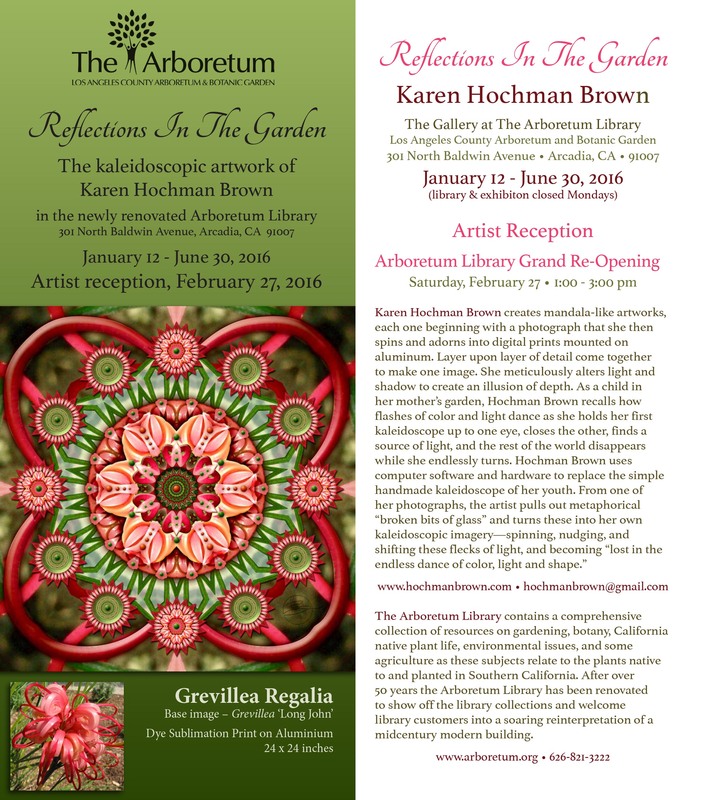 I am very happy to announce that I am to be the inaugural artist of the newly renovated Library at the Arboretum. The interior space has been designed with the intent to show local artists whose work complements its surrounding botanical collection. I am installing my kaleidoscopic artwork in early January with the show running through the end of June.